Far Western Region Himalaya, one of the unique places on earth which are situated beyond world's 7th highest Mt. 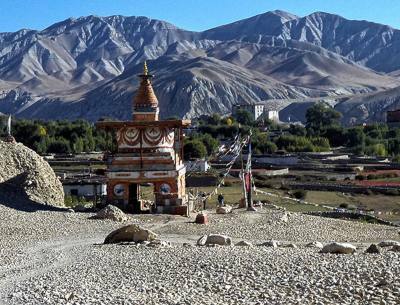 Dhaulagiri includes Upper Mustang-Lower Mustang and towards further west around Upper and Lower, Dolpo extends to Rara Lake-Mugu and Humla and Limi valley. 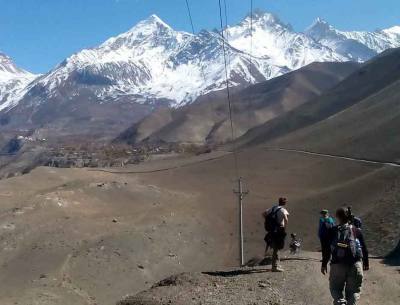 Far Western Region Himalaya located on Nepal Far North Western Himalaya on the ancient Trans Himalayan Salt Caravan route to the Tiber, where the trade between Nepal and Tibet still exists. 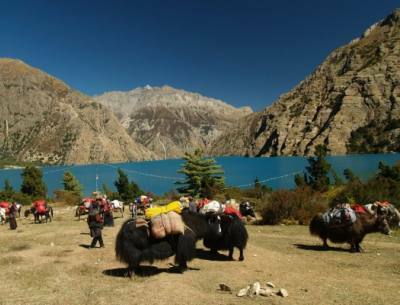 nepal Far Western Region Himalaya a perfect spot for varied adventure where one can trek in the shade of local culture of ancient Bon sect (pre Buddhism) and Tibetan Buddhism where one can visit its interesting villages and monasteries of fascinating culture and old tradition and heritage of simple life as it was since past hundred of centuries. 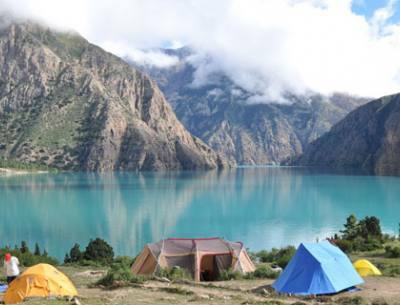 Our Nepal Far Western Region Himalaya leads you with enjoyable moment within Upper and Lower Dolpo including Upper and Lower Mustang both areas with amazing backdrop of giant Himalayan peaks, on windswept terrain with alpine forest enriched with tall rhododendron-oaks and pines trees, as the walk proceeds leaving behind the green vegetation of arid and barren country under the clear blue sky.